Bill Hawkins of Portland, Oregon has combined a distinguished career as a practicing architect with a parallel life as a writer and champion of historical preservation. The 19th century cast iron buildings which have survived near the Willamette River in downtown Portland owe their existence in part to Hawkins’ advocacy. His most recent book, “The Legacy of the Olmsted Brothers in Portland, Oregon,” published this fall, is a beautifully illustrated history of Portland’s parks, which owe a great deal to the Olmsted firm’s master plan for the city. Portland’s famous now for its urban planning, with its densely populated downtown, its commitment to public transit and bicycles, and its resistance to sprawl. But the lineaments of the city’s hopes for its future were implicit in that original Olmsted plan more than one hundred years ago, and the parks envisioned in it continue to anchor our civic life and succor our citizens. I have been interested in Frederick Law Olmsted since I was a grad student, when I first read his extraordinary accounts of traveling to what he called “The Cotton Kingdom”–the slave states of the ante-bellum South. I was studying the history of slavery, and no contemporary observer of the peculiar institution was more informative than Olmsted. That I would encounter him again in an entirely different professional life would come as a bit of a surprise. Frederick Law Olmsted. Portrait by John Singer Sargent, 1895. Courtesy WikiCommons. The Olmsted influence on golf design is so pervasive that it’s impossible to isolate any single element directly traceable to Olmsted. Contemporary golf courses are almost always a collaboration between golf course architects and land planners trained in the Olmsted tradition, derived from the fountainhead of the profession, Harvard’s Graduate School of Design (where, incidentally, I attended a week-long seminar on golf architecture taught by Robert Muir Graves and Geoffrey Cornish in the summer of ’88). Most modern golf course architects are trained first as landscape architects. There are quite a few golf courses incorporated within Olmsted-designed parks, ranging from Buffalo, NY to Louisville, KY to Chicago, IL. I don’t know of any census of courses in Olmsted parks, but the number is substantial. There are many courses as well in Olmsted-designed suburbs, such as Toledo’s Ottawa Park and Atlanta’s Druid Hills. But it’s fair to say that every golf course in the US has some elements of Olmsted’s approach to landscape design and planning deep in its DNA. Last summer, I wrote a short piece about Liverpool’s Birkenhead Park, which had a seminal influence on Olmsted, for the British Open edition of The Grain, which I am posting below. Following it is a review of the architect and design historian Witold Rybczynski’s excellent biography of Olmsted, which first appeared in The Oregonian. Anyone who came of age around the time Roberto De Vicenzo won his Open Championship at Hoylake (Royal Liverpool) in 1967 will forever associate Liverpool with the Beatles. They will perhaps make a pilgrimage to the “The Beatles Story,” a government-owned initiative to lure tourists to the city. But anyone traveling from Hoylake to Liverpool’s city center will travel past an institution at the center of the Mirral Peninsula which has perhaps had more influence on the shape of American golf and its settings than anyplace other than St. Andrews itself. A young American journalist named Frederick Law Olmsted visited Birkenhead Park in 1850, three years after its opening. He was on a grand tour of English estates, eager to learn about their gardening practices. What he found instead at Birkenhead was the world’s first public park, financed, built and maintained by the town. Built on 120 acres, the park brought fresh air and a taste of the countryside to industrial workers. There was nothing like it in America. 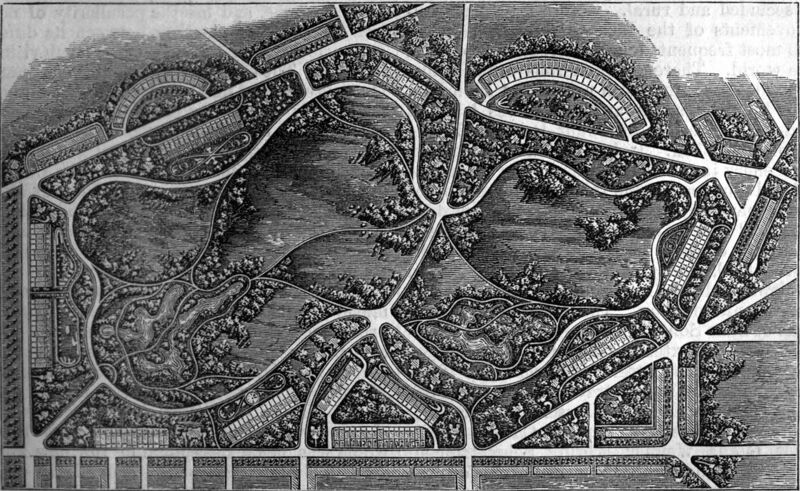 Plan View of Birkenhead Park, the Fountainhead of Olmsted’s Vision. In the decades after 1857, when Central Park, designed by Olmsted and Calvert Vaux, opened, dozens of great public parks, designed by Olmsted himself or his firm, would debut in America. The Fens in Boston, Belle Isle Park in Detroit, the parks of Buffalo, NY and Portland, OR and many others grew from Olmsted’s fertile conviction that access to “nature” would heal injured spirits. Private developers, too, hired Olmsted to create master plans for their new communities, many of which would be anchored by golf courses. Olmsted had learned that Birkenhead’s creation stimulated the development of fine houses around the park. In laying out Druid Hills, the master plan for Pinehurst, Yeamans Hall in Charleston, Mountain Lake in Florida, and dozens of other suburbs throughout the United States, as well as in establishing the very profession of landscape architecture in America, Olmsted shaped the perception of what a golf course should look like. Ironically, that vision precluded the sere, knobby, and unkempt look of a classic links such as Royal Liverpool, which helps explain why Americans were so slow to develop an affection for the courses of the British Isles. During the second half of the 19th century, when Frederick Law Olmsted was at the peak of his creative powers, the landscape architect put an enduring stamp on American life. Yet for most of the 20th century, even as the effect of his work broadened and deepened, his place in popular memory diminished almost to invisibility. Witold Rybczynski’s absorbing biography, “A Clearing in the Distance: Frederick Law Olmsted and America in the Nineteenth Century,” makes a compelling case for the full restoration of Olmsted’s eminence. Given the extent of Olmsted’s fame and accomplishments, this fade to obscurity would be difficult to understand were it not for the well-known American proclivity either to obliterate the past or to sentimentalize it. Urban renewal and the interstate highway system bulldozed through hundreds of neighborhoods. The backward glance of the new urbanism, meanwhile, has concocted a sanitized version of “tradition,” cleansed of memory. We move too often to acquire a strong sense of place. An Olmsted renaissance is now in full bloom, and Rybczynski’s discerning assessment of Olmsted’s achievements will add to its momentum. Seven of a projected 12 volumes of Olmsted’s papers have been published, and the National Association of Olmsted Parks leads the fight to preserve and restore Olmsted’s works and those of the firm he founded, which completed more than 3,000 projects during its 125-year history. 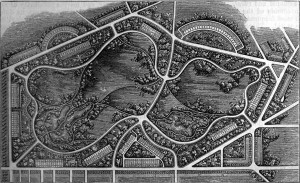 The firm, for example, prepared Portland’s Olmsted park plan, but some years after Olmsted’s death. 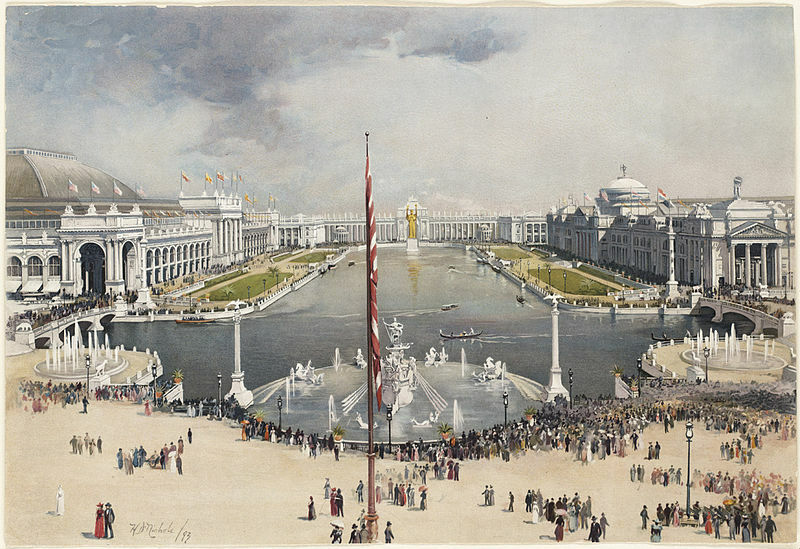 The Olmsted plan for Portland’s Lewis and Clark Exposition of 1905 also was a post-Frederick Law Olmsted project, though it borrowed from one of his greatest works, Chicago’s Columbian Exposition of 1893. The Olmsted firm provided the land plan for the University of Washington. We correctly regard Olmsted now as the first and greatest of America’s landscape architects. The Harvard Graduate School of Design, a powerful influence on land planning for more than a century, was established to promulgate Olmsted’s vision. 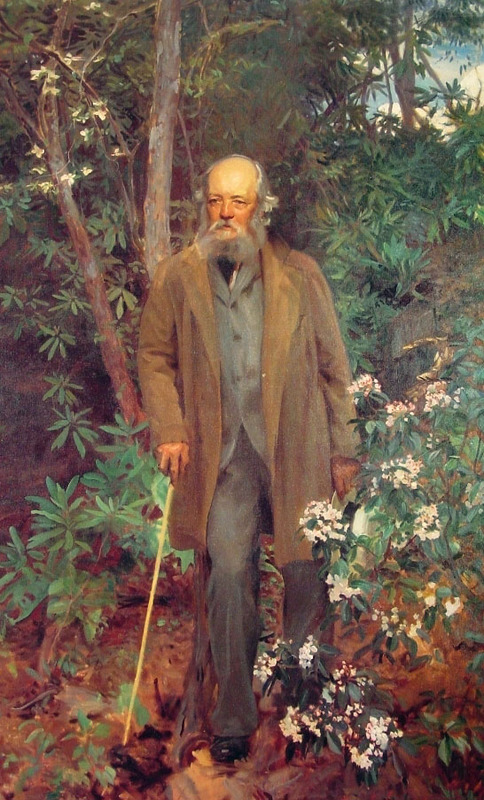 Olmsted’s beliefs in “the curative power of natural scenery,” and of the duty of a democratic society to provide public access to restorative landscapes, remain beacons for the profession. Along with his partner, Calvert Vaux, the English-trained architect, Olmsted created New York’s Central Park, the iconic democratic garden and the first of what would be dozens of major commissions for parks and park systems in places such as Buffalo and Brooklyn, N.Y.; Boston; Montreal; and Detroit. Olmsted also worked for private developers, just as landscape architects do today, and provided the overall plan for such archetypal suburbs as Chicago’s Riverside and Atlanta’s Druid Hills (through which Miss Daisy drove). The Olmsted of “A Clearing in the Distance” was a complicated man, driven by a powerful but blurred ambition and not infrequently waylaid by bouts of depression. But for all his personal struggles, he was always regarded as a man of integrity. Good organizational skills polished his honesty and inspired confidence in his ability to get things done. The trajectory of Olmsted’s career seems both oddly contemporary and thoroughly 19th century. Son of a wealthy Hartford, Conn., merchant, Olmsted was nonetheless largely self-taught; poor health limited him to a brief stay at Yale. But the absence of a formal education was no more an impediment to Olmsted’s success than it was to Abraham Lincoln’s or Walt Whitman’s. During Olmsted’s struggle to find his metier, he worked as a merchant seaman, farmer, journalist (as a writer whose books on the slave South are still consulted by historians, and as a founding editor of The Nation) and manager of a California gold mine. Before the Civil War, he was one of The New York Times’ most important writers. John Singer Sargent would paint his portrait for the walls of Biltmore, the North Carolina estate for which Olmsted designed the gardens. Rybczynski, a professor of architecture who has written a series of books examining design’s effect on daily life, embodies Olmsted’s curiosity about the social implications of the man-made environment, combining it with his thorough knowledge of the history of architecture and planning. Like Olmsted, Rybczynski looks at the world through a wide lens and has studied many of the European gardens and parks that strongly influenced the young Olmsted. Olmsted’s 1850 discovery of Liverpool’s Birkenhead Park provided an especially enduring source of inspiration. Birkenhead convinced Olmsted that a harmonious yoking of “rural embellishments” and urban life was possible and would provide an important instrument for what he called “commonplace civilization.” It is ironic, Rybczynski writes, that he found the “People’s Park” in monarchical England rather than in democratic America. Central Park was the first statement of Olmsted’s embodied thoughts on the salutary effects of landscapes: the social benefits not simply of fresh air and greenery, but of public environments designed for popular use. He and his successors would elaborate on those ideas for more than a century. 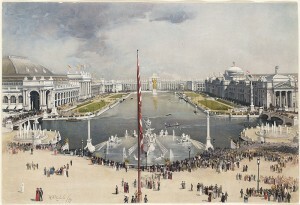 “The comprehensiveness of his environmental design,” Rybczynski writes, apropos Olmsted’s plan for the Chicago World’s Fair, “is astonishing.” So was Olmsted’s life, and in Rybczynski’s thorough, engaging biography, Frederick Law Olmsted lives again, as he should for every American.